Detained parents are happy they’re going to see their children again, but details remain sketchy on how and where reunification will occur. After months of being held in detention separated from their children, about 10 parents at the Northwest Detention Center in Tacoma have been told they will be transferred Friday to Texas to begin the process of reunification, according to a legal organization representing them. Matt Adams, legal director of Northwest Immigrant Rights Project (NWIRP) said a U.S. Immigration and Customs Enforcement (ICE) officer pulled the detainees into a meeting Thursday to let them know. Adams talked with one mother, Blanca Orantes, who was in the meeting. “It’s the first piece of good news she’s had now in a long time,” Adams said. NWIRP attorneys heard from other detained parents who were also very happy. The detainees were not told where exactly they’re going or how they will be reunited with their children. An ICE spokeswoman said she was told to refer all inquiries to Department of Homeland Security spokespeople, who could not be reached Thursday. It is likely ICE will transfer the parents to a facility that will hold them and their children together. President Donald Trump indicated in a June executive order that the administration would begin detaining families in this way, reversing a “zero-tolerance” policy that took children from parents who had crossed the southern border into the U.S. illegally. A federal judge subsequently ordered the administration to reunite all separated parents and children by July 26. Many of the roughly 2,500 potentially eligible to be reunited with children remain apart. The logistics of reuniting them has proved difficult, in part, because some records have disappeared. About 30 of 56 parents separated from their children and sent to the detention center in Tacoma remain there, according to NWIRP. Most of the others have been released on bond. One mother was transferred earlier this week to El Paso, Texas, but has not yet been united with her child, according to Adams. 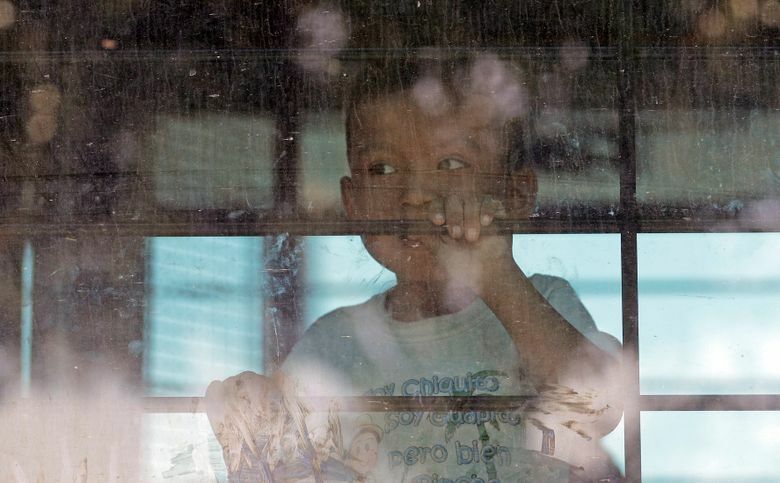 If the parents headed to Texas are going to a family-detention facility, the administration can’t keep them there indefinitely, because of a court settlement that says children can’t be detained for longer than 20 days. The Trump administration asked a judge to modify that settlement, and it was turned down. Yet the parents’ immigration cases aren’t likely to be resolved in 20 days. NWIRP”S clients all have applied for asylum, a process that usually takes months. They now will need new lawyers in Texas, which Adams said it will help them find.